Solving Multiple Problems At Once? Differing interests have been converging for me in recent weeks. The carbon tax issue in Australia has highlighted to many the need to plan for a world where we don’t rely on fossil fuels. I have also been patiently awaiting a harvest for our balcony babies that sadly receive too little sunlight. 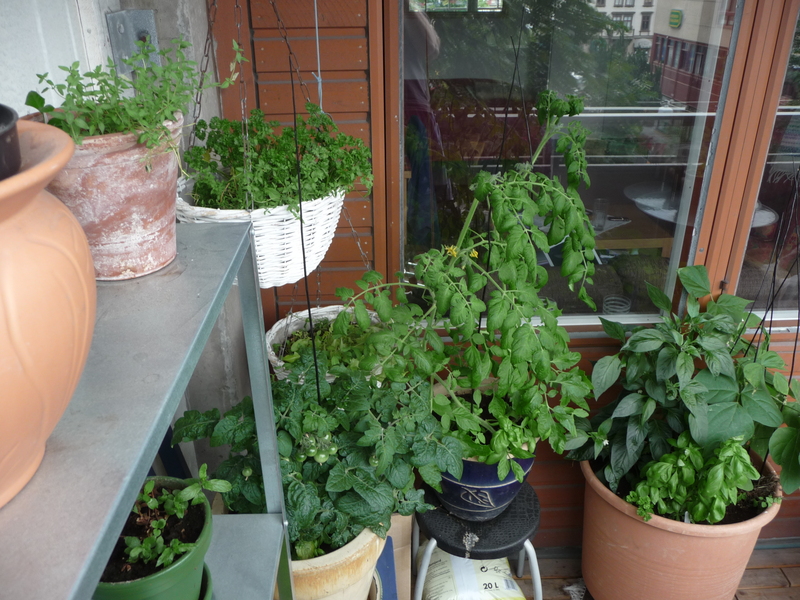 The plants and herbs do add colour and character to the balcony but I wish I could grow more of our own food. Lastly, I’ve been reading about past societal collapses and ways in which we can avoid doing the same to ourselves. All of these interests have magically wound themselves together in one bundle called permaculture. My introduction has been through a friend whose friend is a permaculture junkie, and then through further investigation in the form of reading; and watching a few documentaries – the foremost being “How Cuba Survived Peak Oil”. The premise of the movie is that we don’t need to wait to see what impact an oil-less future will have on our lives; an example already exists in post-Soviet era Cuba – whose oil supply was dramatically cut with the fall of the Iron Curtain. They had no oil to power their agricultural machinery and very quickly the big cities were facing a food shortage crisis (amongst other major problems). Havana today, a city of about 2 million people, grows 50% of it’s food within the city limits through permaculture techniques – doing away with those oil-sucking machines in the process. The goal of permaculture is to mimic patterns that occur in nature to create interwoven relationships that grow the majority of a household’s food supply on their own block – everything within walking distance. The thinking that formed the techniques was that nature has evolved these relationships over such a long period of time and therefore she, and not humans, knows the most efficient ways to do it. I have only read one book on the subject, but just 10 pages in I knew that I had potential to become an addict too. Stay tuned for more confessions. This entry was posted in Thoughts etc and tagged documentaries, permaculture by schurn. Bookmark the permalink.